After Building Cleaning Commercial & Domestic Acton Town W5 | Quality Property Care Ltd.
All the reconstruction works in your office or home are finally finished, and you can’t wait to invite over your close friends to show off the new interior design of your office or home? Well, you can start planning the party right away, and all you need to do is reserve the professional after builders cleaning services of Quality Property Care Ltd. in Acton Town W5. The after builders cleaning company will take care of all the necessary post builders cleaning to remove all debris, dust, and all leftover residues from the renovation work at an excellent after builders cleaning price. The professional deep after builders cleaning service will deep clean and sanitise your home or only the renovated parts, according to your request. The one off builders cleaning is an hourly based service, performed by expert cleaners with the use of modern tools and eco-friendly and safe solutions. Suitable for both commercial and residential after builders cleaning needs. Contact the customer service or contact it via the online form, to get more information and a price quote about possible discounts and promotions. We can start work only after the construction job has been totally finished, otherwise there will be interference from both teams. On the other hand we cannot assure the great finish we usually leave if there is still construction going on. We use professional and industrial equipment like pressure washers, vacs and scrubbers which allow us to get deep into the stain and remove it completely, without any damage or hassle. For domestic properties we have a specific treatment method which removes and de-limes any surfaces that might have had paint on them. This removes all unpleasant residue, allowing our professionals to properly remove any other dirt in the premise. 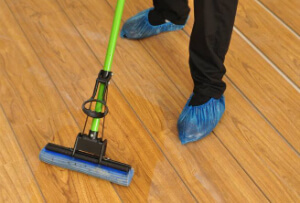 For offices and commercial properties we can accommodate your cleaning needs, and work early in the morning or late at night in order to get your property up and ready for work once again. There are without extra fees for weekend cleaning, though you better check back with us at 020 3746 4287. The bath is left shining, cleaned and rinsed, if needed the shower recess is scrubbed clean, the shower fittings and glass are cleaned, the basin and vanity scrubbed. The toilet, bidets and other WC parts are disinfected, cleaned, including their bases and behind them, mirrors are polished and cleaned if necessary. The floor is vacuumed and mopped to remove any residue and stains, fingerprints are wiped away and the light switches are cleaned. All fittings and tiles are left shining and cleaned, and the waste bin is cleaned and left shining, door frames are not left unattended, they are also cleaned from top to bottom.